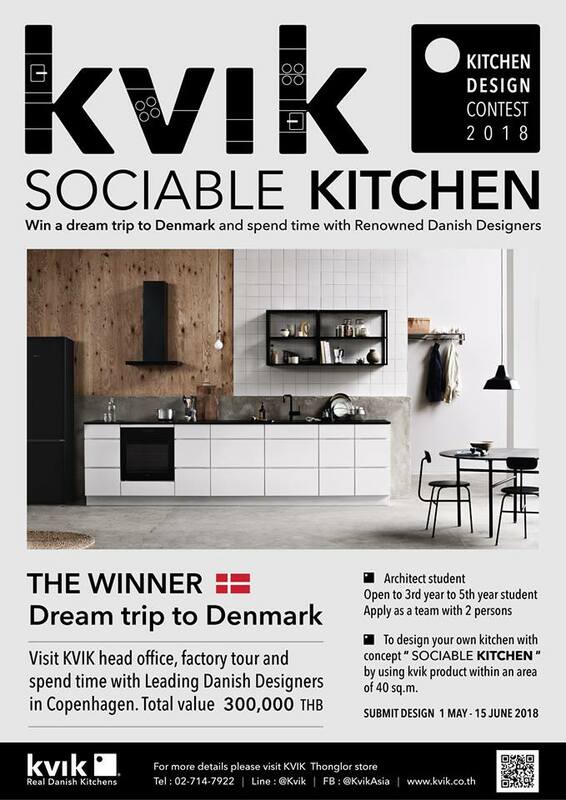 Ms. Chanisara Piyasuwan and Ms. Apinyalak Suwannasai, both students in Architecture program, bagged the first place in creative design based on the concept of “Sociable Kitchen” and use of Kvik products. Both students (as first prize winners) were awarded a “Trip to Denmark” for free. 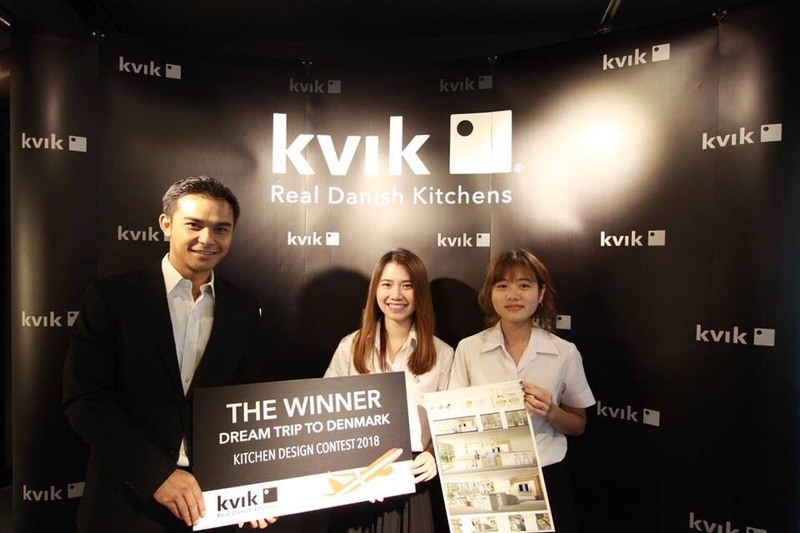 The competition was organized by Kvik (a company of Danish-design kitchens, bathrooms and wardrobes) and participated by architecture students coming from different universities in Thailand (The result of the competition was announced on July 13, 2018). From the competition, they have learned the process of creating a good project. They started the project by treating themselves as ordinary persons, not as designers. Thus, they were able to see what the people would really need, and later came up a good design solution from basic thoughts that were effective for all. First runner-up and second runner-up were the teams from Rajamangala University of Technology Thanyaburi and Chulalongkorn University respectively. 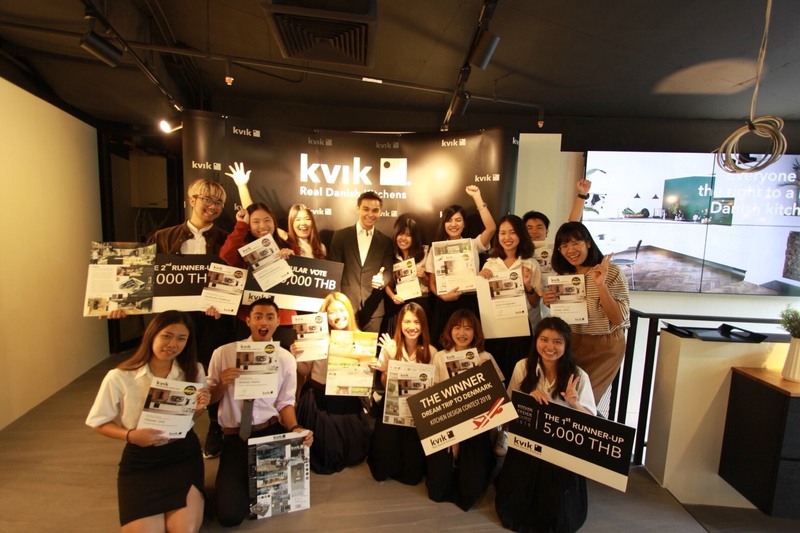 “Popular Vote Award” was taken by another team representing Chulalongkorn University.